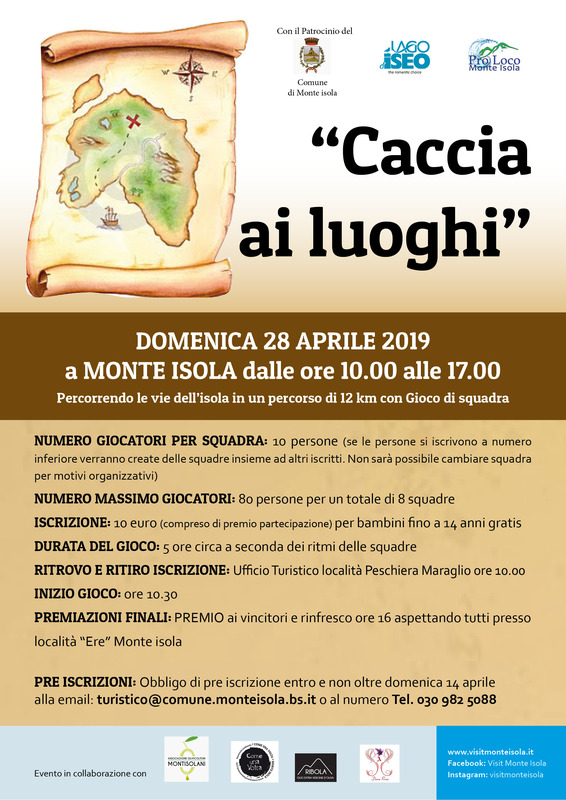 Sunday, April 28th, the Pro Loco of Monte Isola, under the patronage of the Municipality and in collaboration with local operators, organizes the Caccia ai Luoghi, a team game through a journey of about 12 km through the streets of the Island. 8 teams of 10 people will compete in search of the lost places on the island. What will the winning team be? Registration required no later than Sunday April 21 at turistico@comune.monteisola.bs.it or 030.9825088.